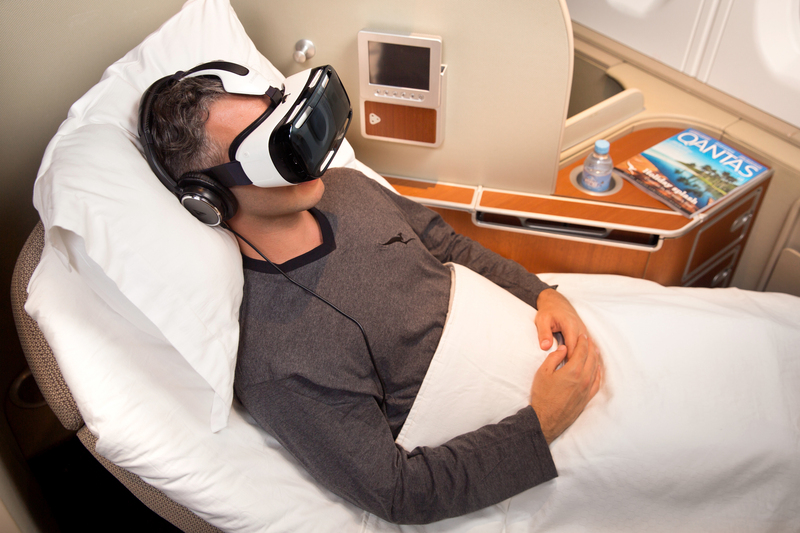 A new partnership between Samsung and Australian airline Qantas means passengers flying on the airline will be able to use a Gear VR on long-haul flights. A limited number of Gear VR devices will be available to passengers on select Qantas’ A380 flights and inside the First Class Lounge in Sydney to try, alongside a specially developed Qantas app running on the Note 4 inside the device. Qantas’ app will show 360-degree views of the first-class lounge at LAX, runway-side videos of A380 planes landing and taking off and a boat ride down a river. The content is produced exclusively for Qantas by a number of partners. If you ever wanted to try a Gear VR without actually buying one, all you need is a first-class ticket on Qantas in Australia.